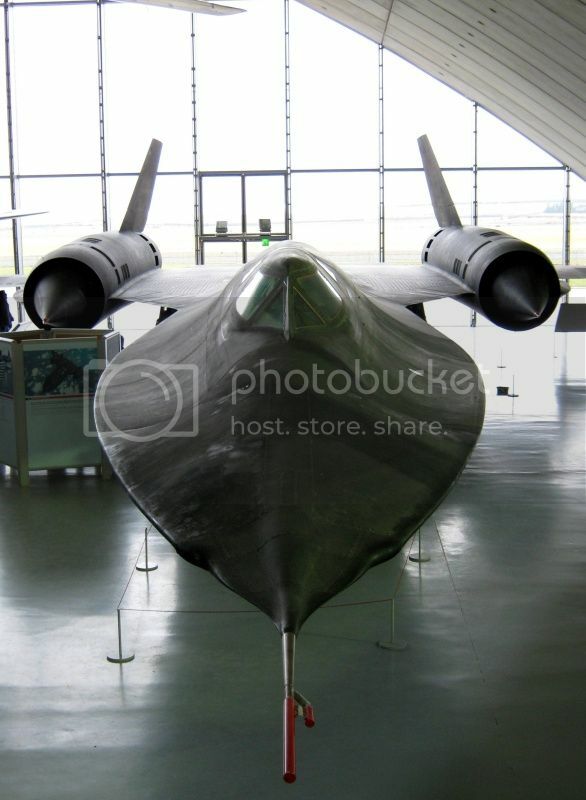 Hi Folks, although the Blackbird is not a New Zealand specific aircraft, it remains one of the most spectacular aircraft ever built and anyone with an interest in aviation cannot fail to be impressed by it. It was the very public face of the United States 'Black' programmes of the 1950s, '60s and '70s achieving speed and altitude records that stand to this day for air breathing aircraft. It was a remarkable feat of engineering and was far ahead of its time. For those of you unsure of the relationship between the A-12 and SR-71, the A-12 was conceived first as part of Operation Gusto, a high speed supersonic replacement for Aquatone, the U-2 and was the first incarnation of Clarence 'Kelly' Johnson and the Skunk Works' remarkable airframe. 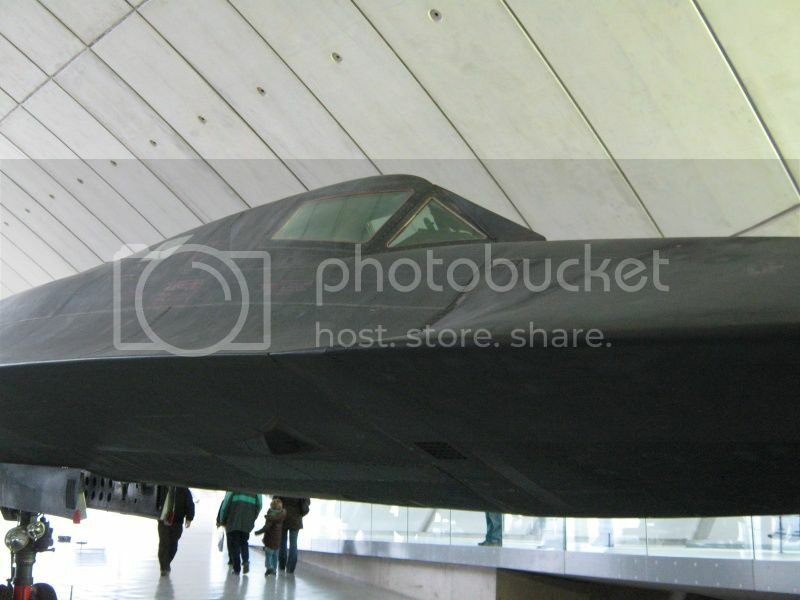 Faster than and marginally smaller than the SR-71, the A-12 was solely operated by the CIA and its activities, indeed its very existence under Project Oxcart remained secret until the early 1990s. 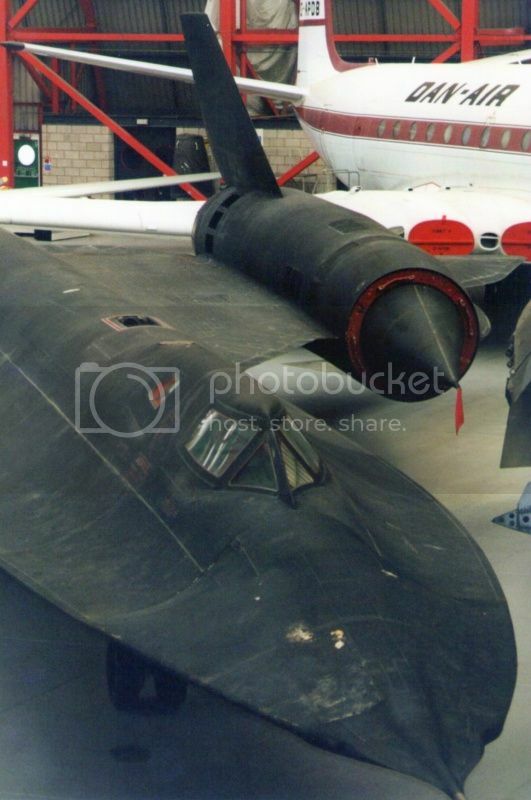 Produced under the USAF's Senior Crown programme, the SR-71 had two crew, which was the principal difference between the two jets; the A-12's pilot's workload was enormous, so a Reconnaissance Systems Operator was installed in what used to be the A-12's 'Q' Bay, primary reconnaissance camera bay. The A-12 was eventually retired as a result of Senior Crown; there was no need for two identical projects running simultaneously, and the publicity accorded the SR-71 made sure the activities of the CIA and its A-12s remained firmly in the shadows. 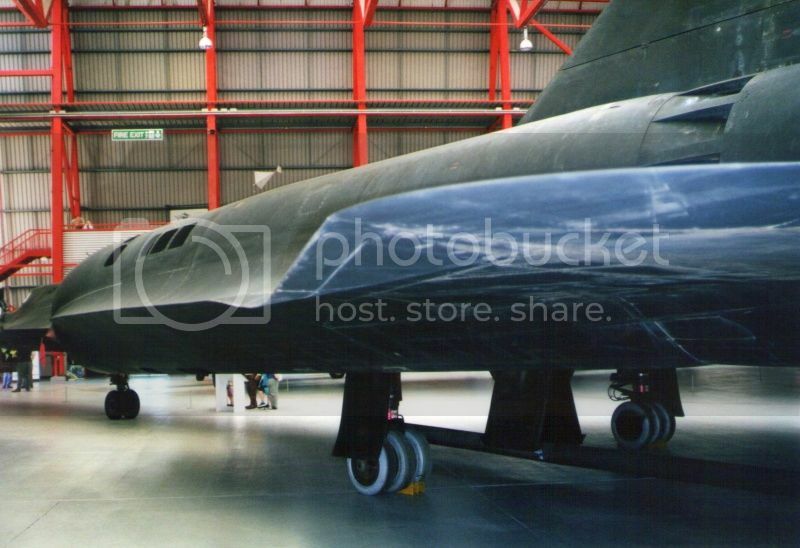 The first time I was able to get close enough to touch one of these jets was years after Senior Crown had wrapped up, with the decision to display a Blackbird in the United Kingdom. Article No 2013 (64-17962) is on display at the Imperial War Museum Duxford and the week it arrived I trotted down to DX to get a closer look. Despite requests, I wasn't allowed to look in the cockpit! 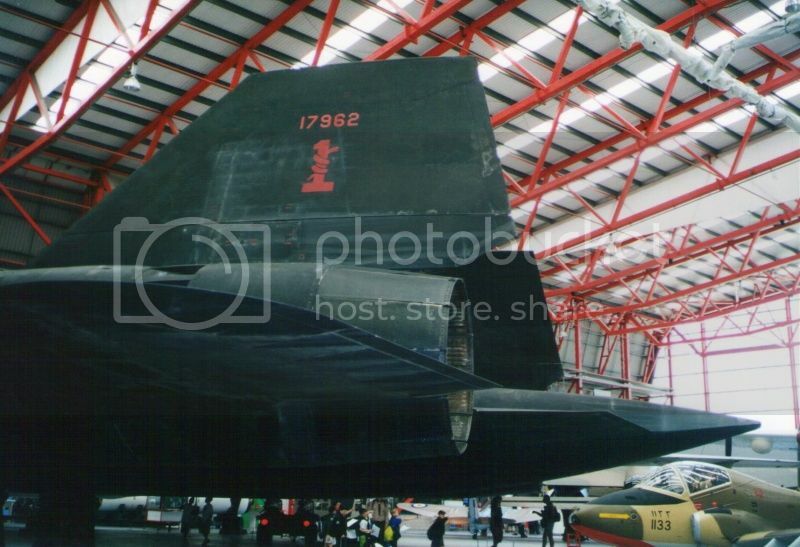 Arriving in England in April 2001, '962 had visited the UK of two occasions before, to Detachment 4 of the 9th Strategic Reconnaissance Wing at RAF Mildenhall, Suffolk, not very far away from Duxford at all, as the Blackbird flies. '962's first detachment to the UK was between 6th and 18th September 1976 and its second and last was for a year from 19 October 1984 until mid October 1985, which made it a perfect candidate for preservation in the UK. Making its last flight on 14 February 1990, '962 has a total of 2835.9 flying hours under its belt. 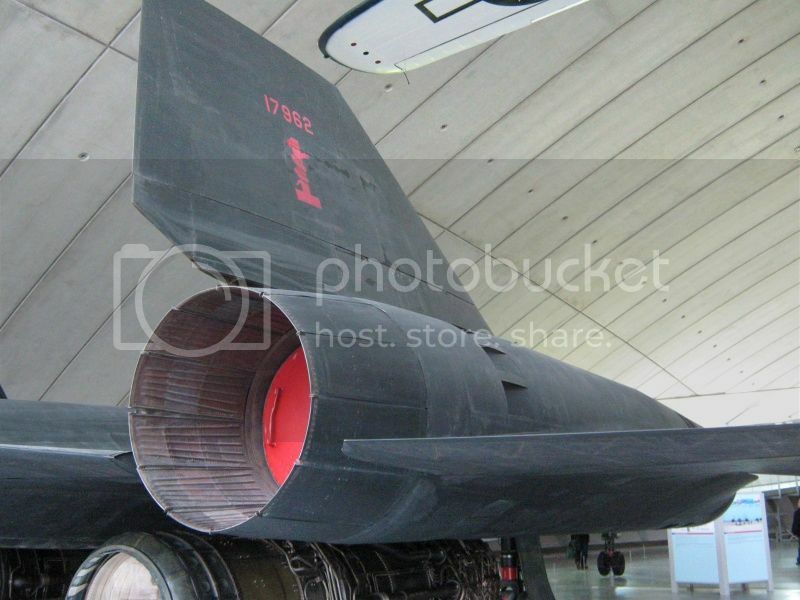 It is currently the only SR-71 to be displayed outside the United States. 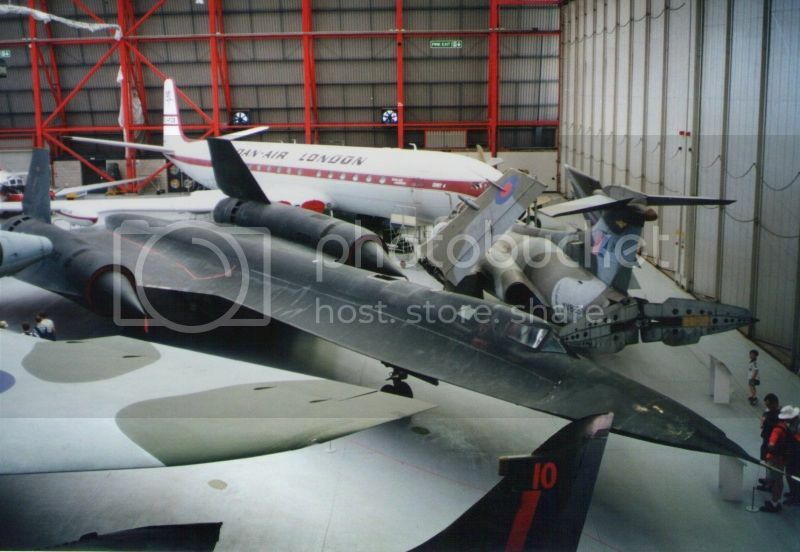 This is '962 as it is currently displayed in the American Air Museum at Duxford. 64-17968 on display outside the Virginia Air Museum, Richmond Virginia from front on illustrates the unusual chines that characterised the type. 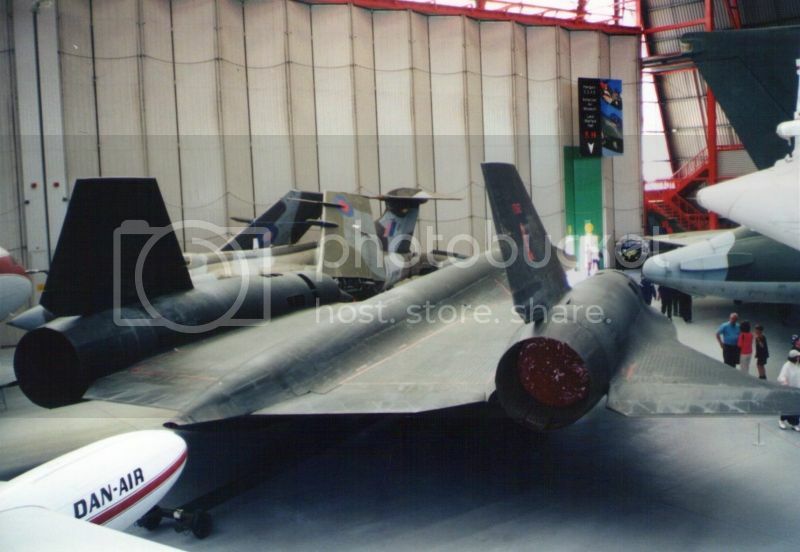 '962 at Duxford in April 2001 shoehorned in beside a Buccaneer, a Vulcan and Comet; its size is readily apparent. From a frontal aspect it appears smaller than its length suggests. '962 from behind; its overall matt finish is apparent; its paint was described as 'ironball' radar attenuating paint. Whilst cruising at a speed of one mile every two seconds meant that airframe temperatures varied from 245 to 565 degrees Celcius, while the outside air temperature was around -56 degrees at 80+,000 feet. It was claimed that the overall black finish reduced the outer skin temperature by 30 degrees. The skin was rough to the touch, like a very fine grain of sandpaper. Air data probe and unusual nasal profile, the prominent bumps either side of the probe are radar warning receivers. 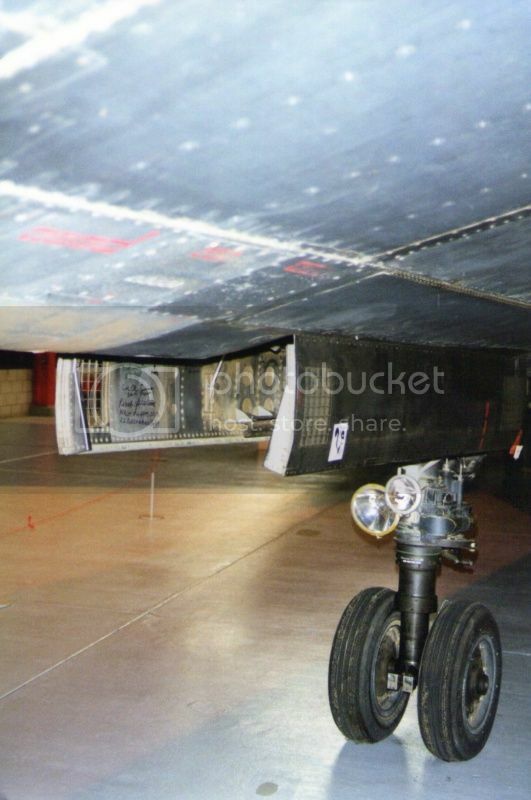 The SR-71A's nose cone from forward of the cockpit was interchangeable with different sensor fits dictating the mission to be flown. Two different nose sensors were in use; the Optical Bar Camera and the ASARS-1 synthetic aperture radar. The former was contained in its own environmentally controlled casing and provided horizon to horizon coverage by use of a revolving barrel prism with an exposure slit. 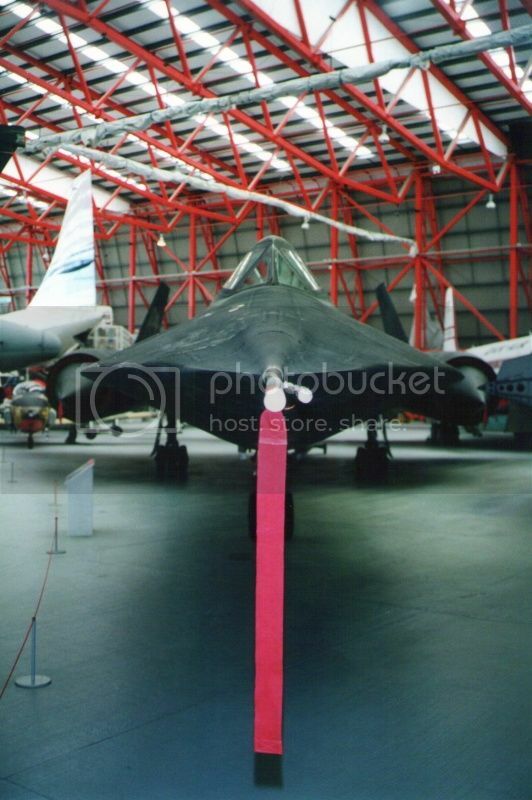 This equipment enabled the USAF to claim that the SR-71A could photograph 100,000 sq miles of territory an hour. The ASARS-1 provided extremely high resolution radar imagery and could operate in a search mode or in spot mode to provide images of small areas. 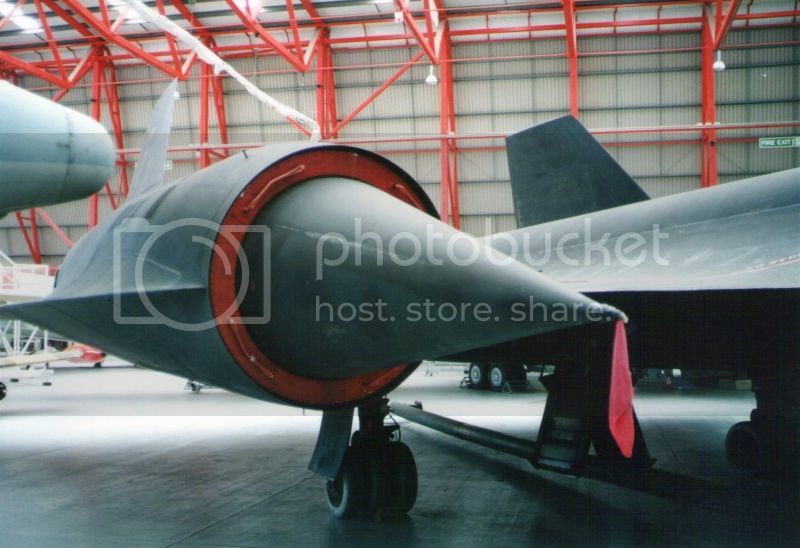 It was that capability of this equipment that led to the re-activation of the Blackbird in the mid 1990s. Crew visibily was not high on the designer's priority list as can be seen here. The circular opening aft of the RSO's cockpit is the Nortronics Astro-inertial navigation star tracker as part of the aircraft's inertial navigation system and aft of that can be seen the rectangular opening for the in-flight refuelling receptacle; the flying boom probe would come into contact with the door and slide aft until it mated with the aircraft's receptacle. Cockpit window glazing in a heavy titanuim canopy designed to withstand extreme temperatures as the aircraft cruised at 3 times the speed of sound. Each crew member had to wear a full pressure suit; the last SR-71 crewmembers wore suits that were almost identical to those worn by NASA Shuttle crewmembers. The slightly bulbous nose cone contours indicates that this aircraft was fitted with ASARS-1. The darkened forward facing diamond flat surface on the underside is a Defensive Electronics Sensor as part of its ECM suite. The starboard engine intake spike. These were moveable, travelling 26 inches between fully retracted and extended. At full extension speeds of up to Mach 1.6 were capable with full retraction at Mach 3. Correct operation of these spikes was crucial to maintain the correct flow of air to the compressor and an electronic Digital Automatic Flight and Inlet Control System was developed by Honeywell for controlling the inlets and also the aircraft's stability augmentation system and autopilot after severe problems encountered when pilots attempted this manually. If the spikes were not positioned correctly, the shock wave that forms at supersonic speeds at the lip of the engine intake would be expelled from the inlet, resulting in what became known as an 'unstart'. The result was a lack of air to the compressor, high exhaust gas temperatures and no thrust from the unstarted engine, which caused violent yawing to one side. At three times the speed of sound, this was decidedly hazardous. 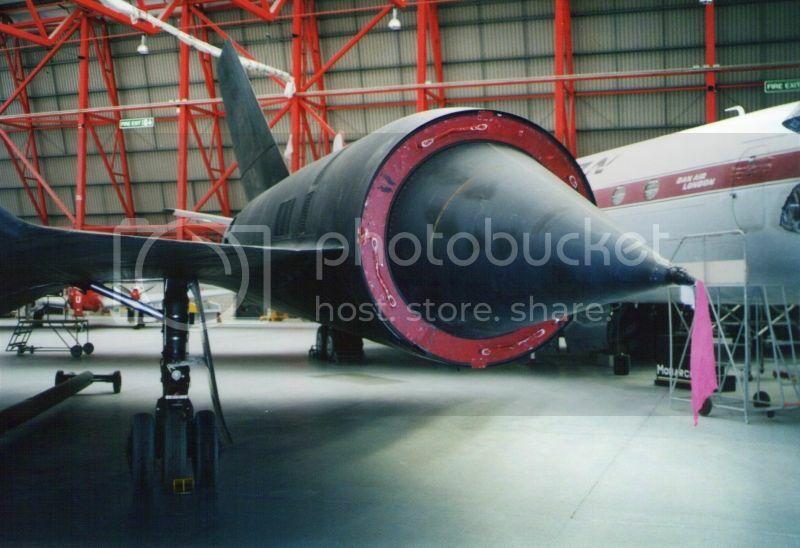 Visible aft of the intake are bleed air louvres, which provided bypass air for engine cooling and for maintaining stable air pressures within the jet's engines at supersonic speeds. At its cruise speed of Mach 3.2, the SR-71's engines required 100,000 cu ft of air per second. Note also the main undercarriage arrangement of three wheels. 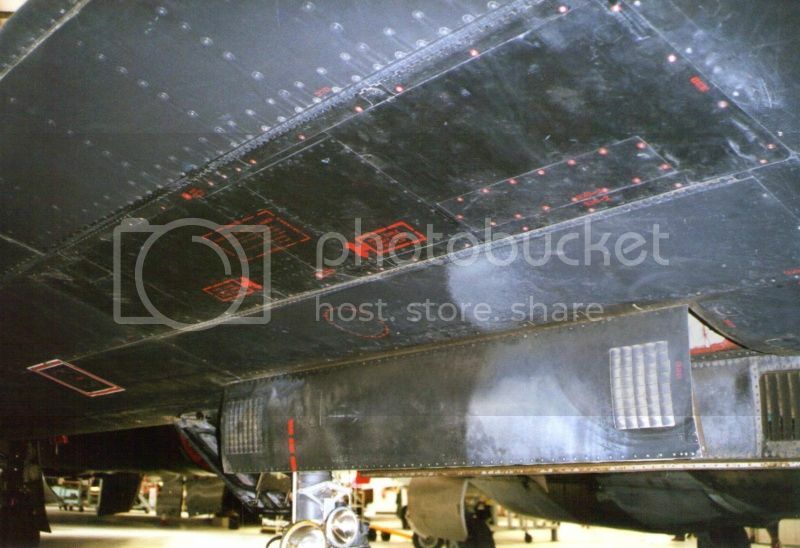 The SR-71's vertical stabilisers were all moving and did not have a seperate rudder, although the lower section was fixed. 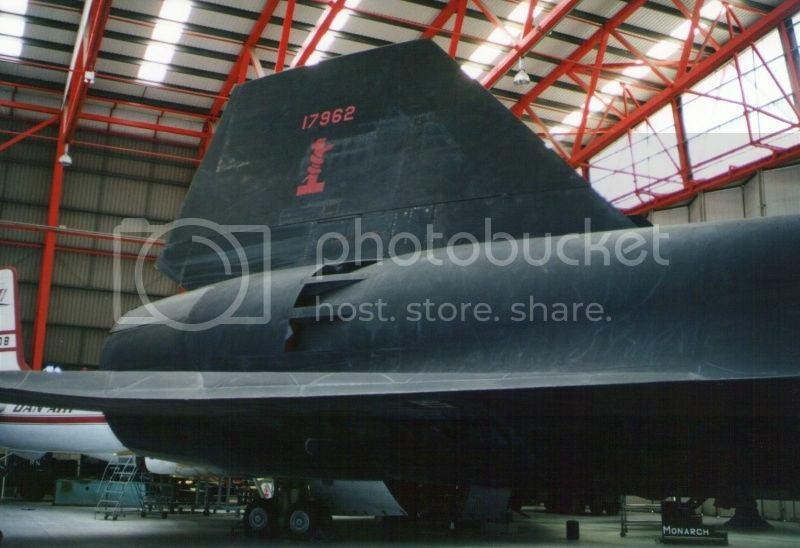 The '1' signifies '962's time at Detachment 1, Kadena Air Force Base, Okinawa, where it was the very last SR-71 on station before the programme was wound down in 1990. Around the '1' is a serpent native to the island, which lent its name to the exotic jets that operated there; “Habu”. On the announcement of the type's retirement, a crew member drew a head stone in chalk around the '1' with the words “R.I.P. Detachment 1, 1968 – 1990”. The sentiment was not appreciated by senior personnel and it was removed shortly afterwards. Exhaust petals and cooling intake doors are visible. The SR-71 had four separate hydraulic systems, two of each operating via an engine driven hydraulic pump. The left hand engine operated A System; flight controls and L System; LH engine intake, bypass, landing gear, refuelling, while the right hand engine operated B System; flight controls and R System; RH engine intake and bypass, emergency undercarriage systems, braking. I'm not certain, but I assume that special temperature insensitive hydraulic fluid would have been developed, possibly synthetic and resembling phosphate esther based fluids in use today, such as Skydrol. Visible on the trailing edge are triangular sections of Radar Absorbent Material. 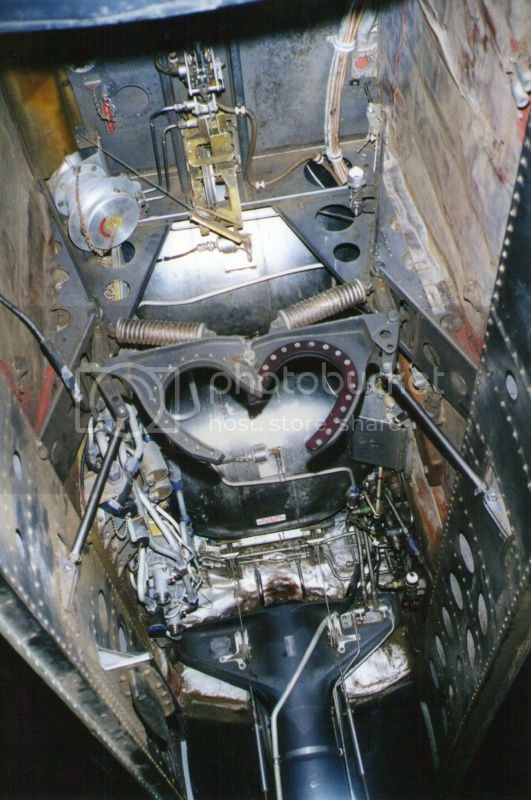 Note also the longitudinal corrugated skin sections, within which was housed the type's unique PF-1 fuel, named JP7 in service, which would leak profusely from each integral tank when refuelled on the ground. Once flying, the skin would expand with high temperatures. These corrugated panels led to Kelly Johnson being accused of building a Mach 3 Ford Trimotor! 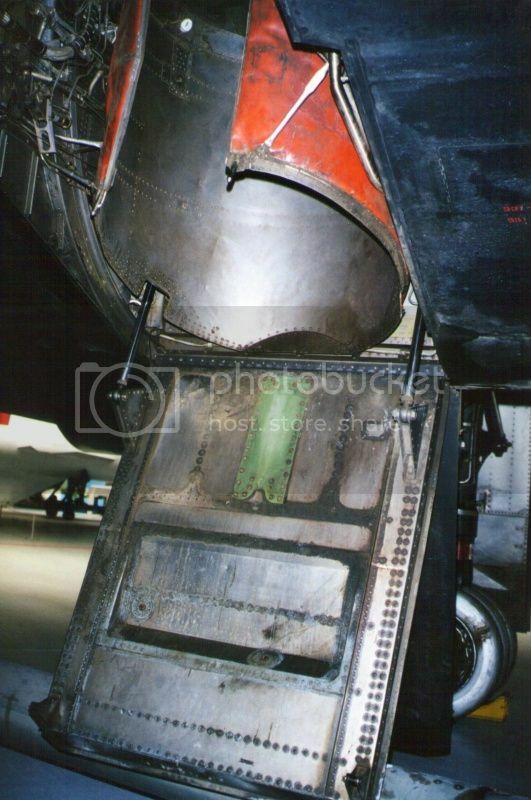 The left hand vertical stabiliser, exhaust and elevon; the SR-71's tailcone housed a fuel vent outlet. Each centrally hinged vertical stabiliser could move 20 degrees either side of the centreline, but at speeds above Mach .5, movement was limited to 10 degrees. This view shows the leading edge contour of the left hand outer wing. Five degrees of camber was applied to the outboard wing leading edge, which reduced its bending moment and applied aerodynamic loading to the rear engine nacelle. These loads were then redistributed to the fore and aft wing box sections. The auxiliary bleed air inlet doors and bypass duct suction relief louvres are seen to advantage aft of the intake. Engine maintenance was achieved relatively easily, with the entire outer half of the nacelle hinging upwards from the top centreline of the nacelle, outer wing and all. Left hand engine and inlet spike. Developed by Pratt and Whitney, Ashland Shell and Monsanto, the aircraft's special high flashpoint JP7 fuel was contained in fuel tanks in the fuselage and integrally in the wings. As a result of its high flashpoint, the SR-71 used a chemical ignition system using a highly volatile pyrophoric fluid called Tri-Ethyl-Borane. Because of its instability, the TEB tank on board was pressurised with nitrogen to keep it inert until required. The wing to fuselage join showing the prominent fuselage chines. These were used to house operational equipment. On the left hand side were Bays M, P and S looking aft to the wing join, on the right hand side, Bays N, Q and T. These carried various signals intelligence equipment, much of which is still classified, but included equipment for recording radar signals as well as defensive electronics and Technical Objective cameras. Underneath the nose looking aft. Note the patchwork nature of its skin panelling. 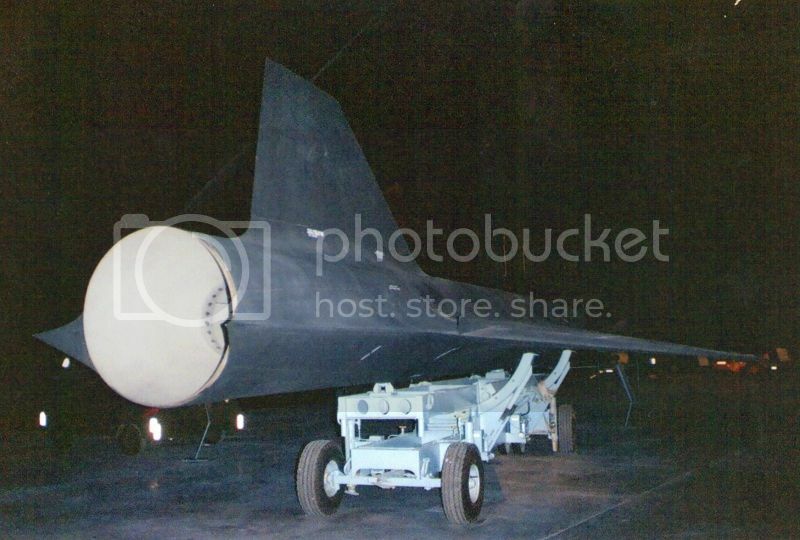 The diamond shaped DEF sensor is visible, as is the forward UHF antenna; the SR-71 had a comprehensive communications suite of HF, VHF and UHF equipment. Close up view of the nose undercarriage door and also the R Bay door, which housed radio equipment, its opposite was E Bay, which housed electronics. All these doors were lined with heat resistant materials. 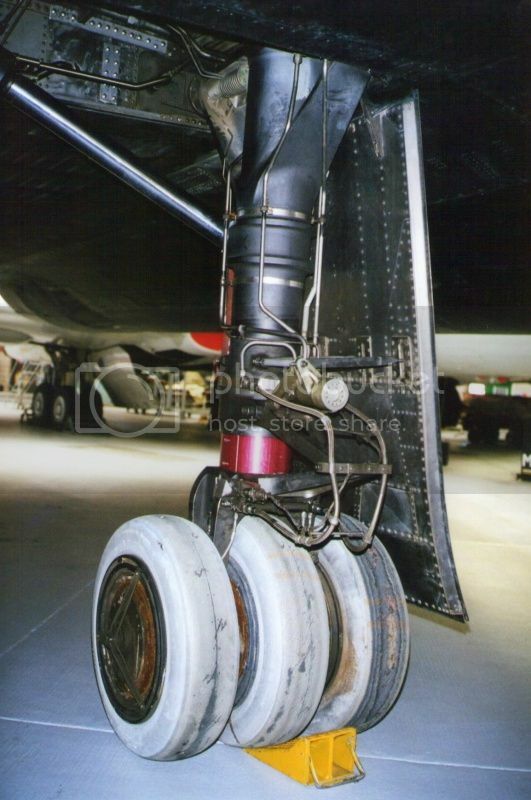 Nose undercarriage leg with landing and taxi lights. Note the Skunk Works logo on the undercarriage door. The interior of the nose undercarriage bay looking aft. This was kept cool by the aircraft's environmental control system. Note the rather large phenolic lined uplock jaws. Undercarriage selection was done electrically, but actuated hydraulically. A cable operated alternate release was provided to open the uplock jaws. Main undercarriage leg. Each wheel could be changed without removing any of the others thanks to individual axles.The undercarriage doors were titanuim. 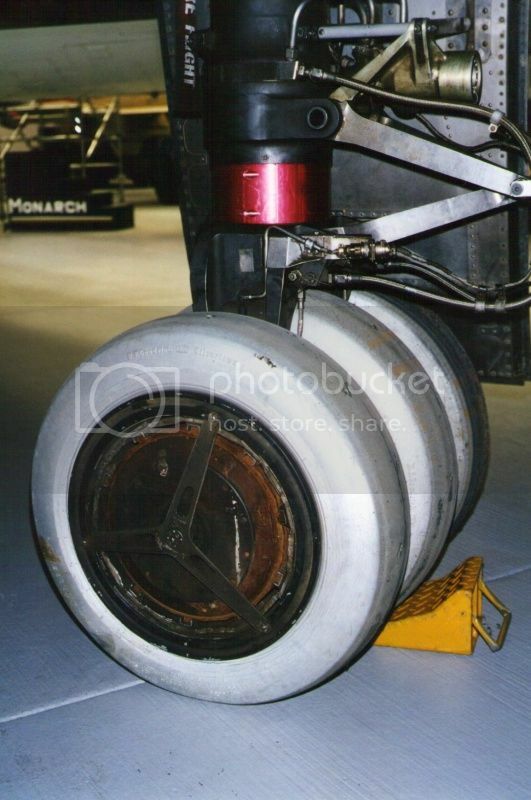 The main wheels were specially made by BF Goodrich and were impregnated with aluminium for heat resistance. Each cost $2300 each. Mainwheel loaded pressure was 415 psi and each was good for some 15 full-stop landings. 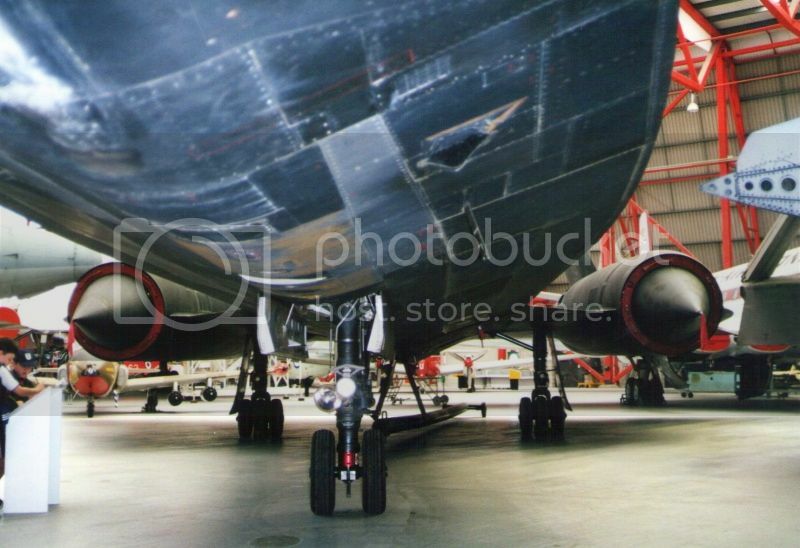 The main wheel bay in the centre fuselage separated the forward and aft fuselage fuel tanks. The titanium shroud protected the wheels against heat and hydraulic lines against the threat of bursting tyres suffering from overheating. 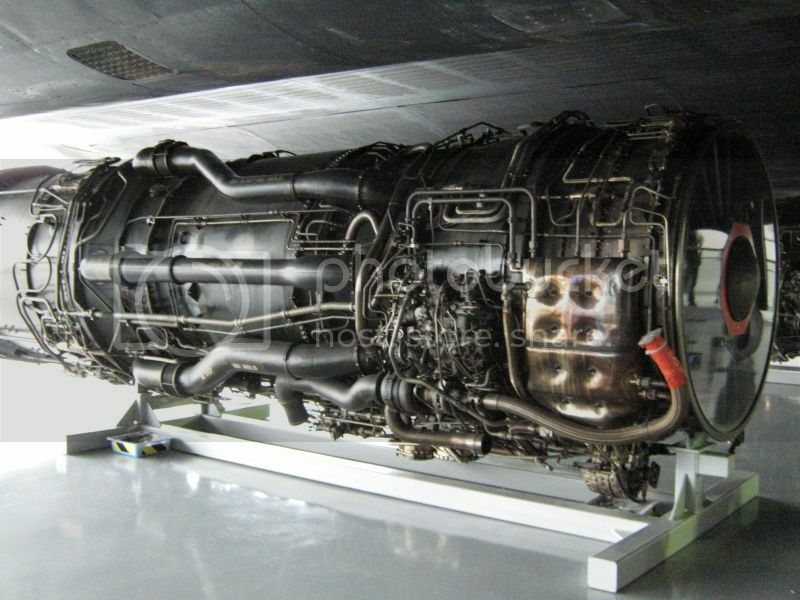 The extraordinary Pratt & Whitney JT11D-20 engine, known as the J58 in service was initially developed for a Lockheed project called Suntan for a high speed strategic recon aircraft dubbed the CL-400 and also benefitted from technology that went into the JT9 engine that was being built for the North American XB-70. 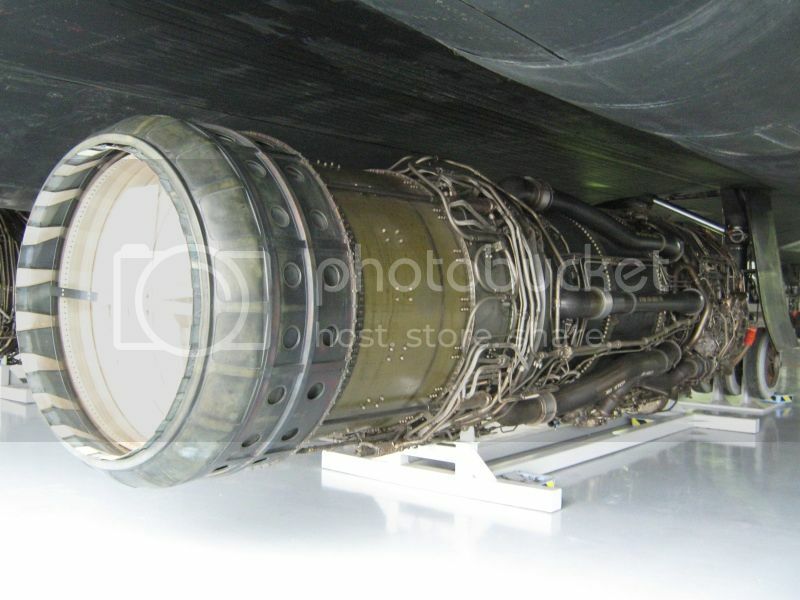 Designed for continuous operations with afterburner at Mach 3, it was a single spool high bypass turbojet, which coped with high temperatures and fluctuating pressures of high speed supersonic flight by a sophisticated bleed air system. To reduce the ever present threat of compressor stall, bleed air was ducted from the fourth stage of its nine stage compressor through six low compression ratio bypass ducts , which considerably reduced pressures across the compressor assembly at crucial stages when required. 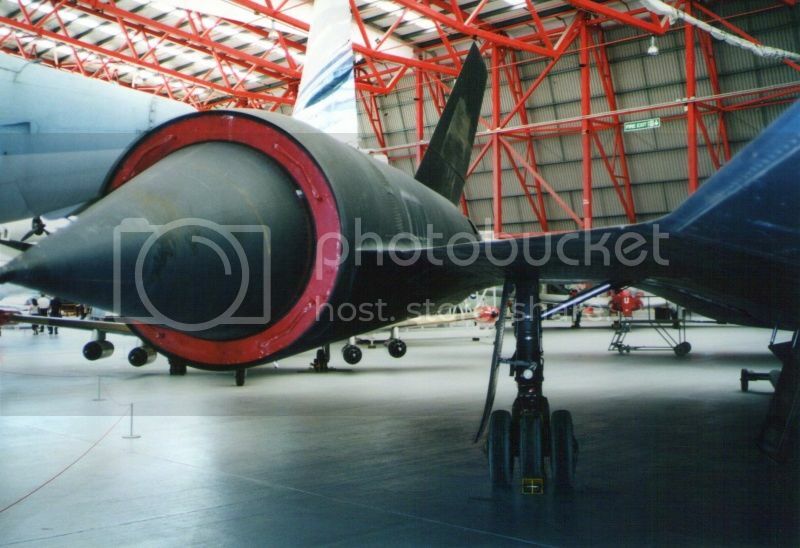 This bleed air was then ducted to the turbine exhaust at the front of the afterburner can at the same static pressure as the main flow, which reduced exhaust gas temperatures and produced a more efficient pressure ratio and increased thrust for a given fuel consumption. The big bleed air ducts are visible. The J58's afterburner casing is visible here. Owing to the aircraft cruising with afterburner engaged, engine exhaust temperatures had to be maintaned at as even temperatures as possible. Inside the can-annular combustion chamber variable-area spray bar atomisers were developed for more efficient fuel combustion. It was discovered during the A-12's development that the shock diamonds being produced by the afterburners were producing considerable radar returns, so an additive called A-50, which contained caesium, was introduced into the jet's PF-1 fuel, which reduced the frequency response of the afterburner plume. Lastly, two off-shoots of Project Gusto; this is the YF-12, a Mach 3 supersonic interceptor armed with Hughes AIM-47 Falcon air-to-air missiles that were capable of destroying a target 120 miles away. A bomber derivative was also drawn up but not constructed. 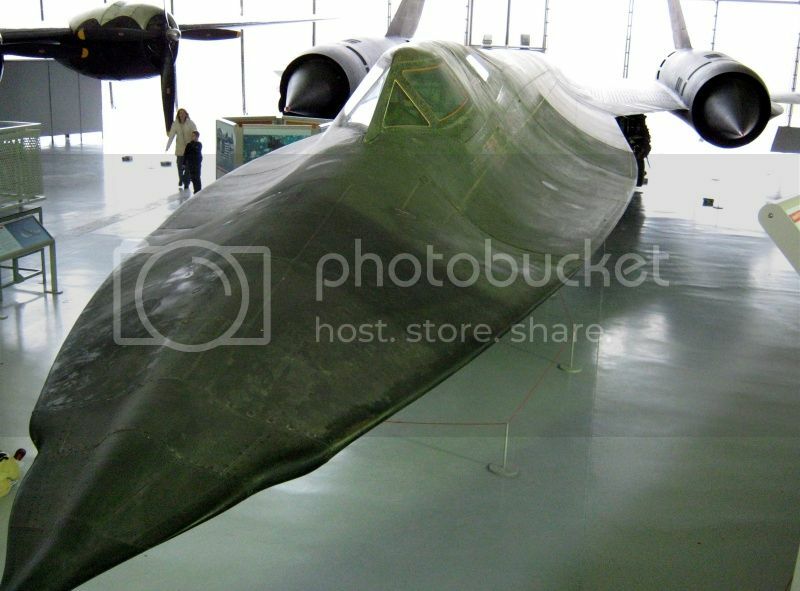 Both projects were cancelled, despite positive results from the F-12 missile tests and the enormous potential of a common Mach 3 interceptor, reconnaissance and bomber fleet and this YF-12 is now on display at the USAF Museum, Dayton Ohio. This is a D-21 supersonic drone codenamed Tagboard and utilised A-12 technology. Capable of cruising at Mach 3.3 at an altitude of 90,000 ft, the D-21 was powered by a Marquardt RJ-43-MA ramjet and was carried aloft piggyback style by a specially modified A-12 named M-21. Despite its potential, Tagboard was cancelled by Kelly Johnson himself after a collision between the D-21 and its M-21 carrier aircraft resulting in the death of a crew member. This D-21 survives at the USAF Museum, Dayton, Ohio. That's it from the Skunk Works! Interesting commentary Grant - you seem to have an extraordinarilly detailed knowledge of this aircraft - have you got the manuals at home? Fabulous detail thanks. 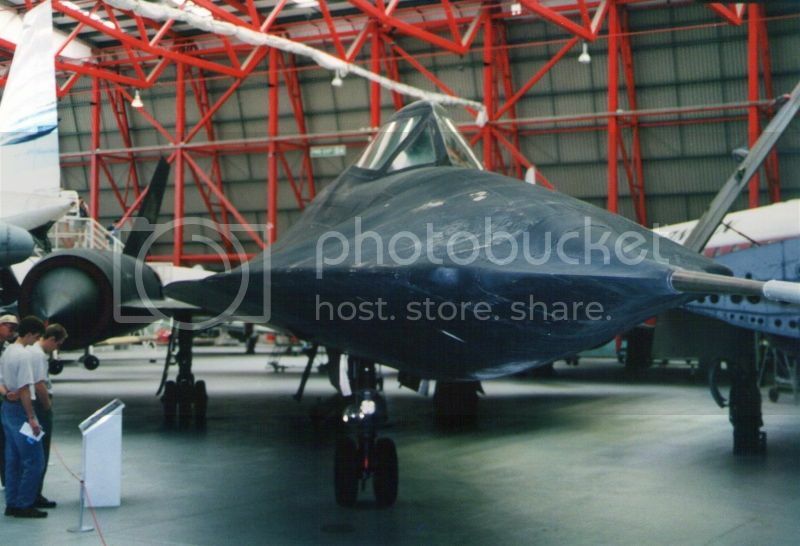 Always been a fan of this 50's design, so advanced for its time and "space-like" in form... Wiki says that there were 13 A-12's built (including 3 YF-12's and 2 M-21's) and there were 32 SR-71's built, of which 12 crashed during service (mainly due to malfunctions) with only one pilot death recorded. 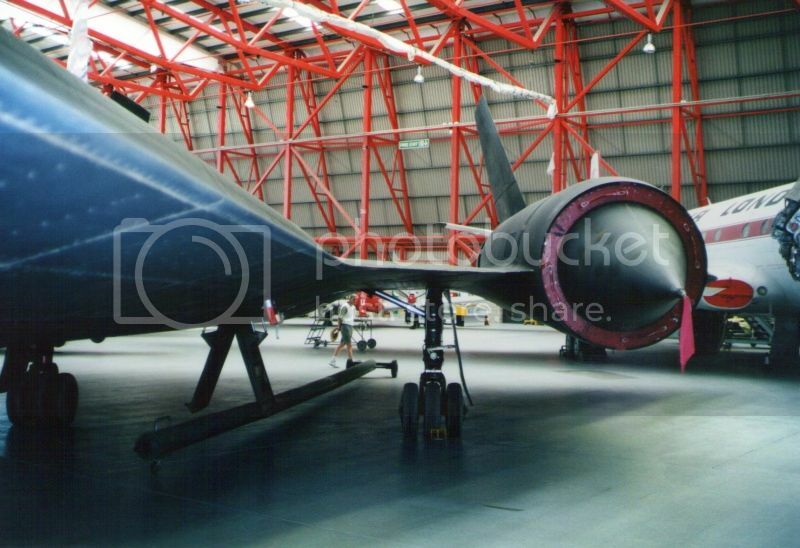 They were retired when satellite data and analysis over large areas of the earth became much faster than singular flights in one or two specific areas with subsequent download and interpretation delays afterwards when using SR71's. I thought I'd add a few from my trip to Duxford last year. It is definately a machine with presence, looks almost alien and sinister in the flesh. I was amazed to find how rough and textured the machine is, with fastenings, panel joins etc all protruding. I thought that a machine that does a zillion miles per hour would be polished smooth. And yes you will have noticed my Lego travelling companion got up close and personal with it. At least he's sat on one!! Cool I love it I guess with the heat of flight (air friction) the surface may be happy with some roughness to allow for heat transfer out of the body using the black paint as well. You can see a lot of patchy discoloration on different panels probably related to the varying amounts of insulation on the inside and varying levels of temperature reached on the outside of each panel or plate. Varying amounts of distortion exist as well. You would never keep it looking good if you tried. Thanks guys. The thing with this remarkable aircraft is what information not to include in such coverage; almost everything about it is extraordinary. Regarding aircraft numbers, just to correct your figures suthg if I may; my count is 15 A-12s, of which two were converted to M-21s. Of these, six were destroyed, including one of the two M-21s; three men were killed. 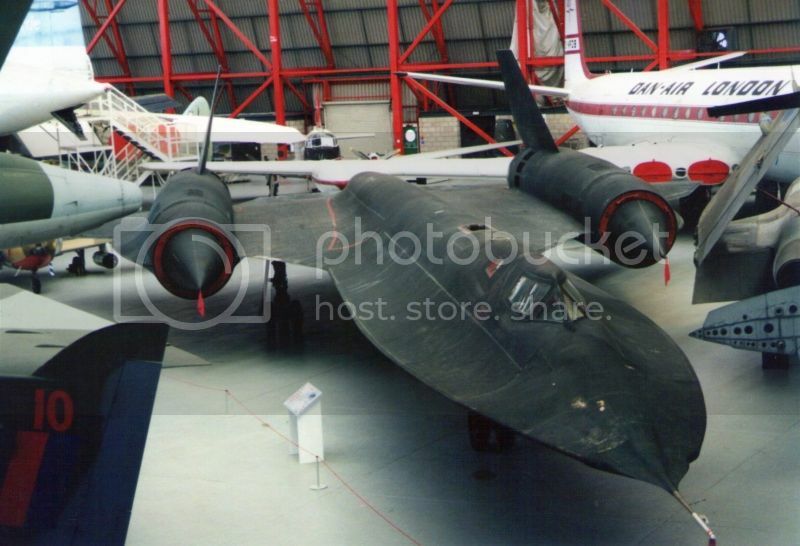 Three YF-12s were built as separate airframes to the A-12s but in production sequence within the A-12 serials, of which one was converted into the sole SR-71C. 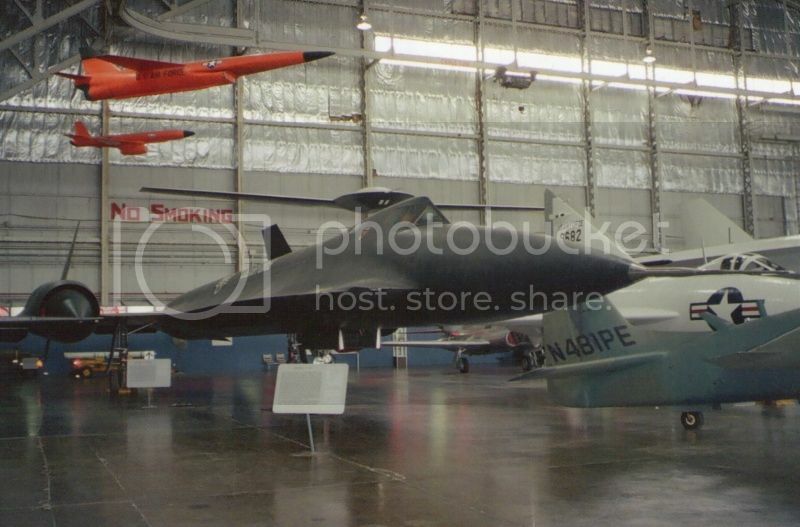 Apart from the example at the USAF Museum, one was lost, both crew ejected safely. 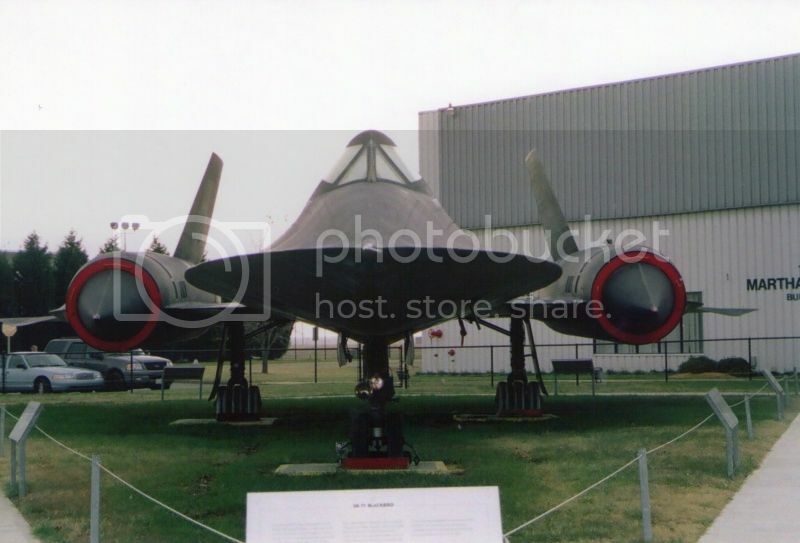 31 SR-71s were built, the thirty second was the YF-12 that was converted to the SR-71C; this mated the YF-12's rear section to the forward fuselage of a non-flying static test aircraft. 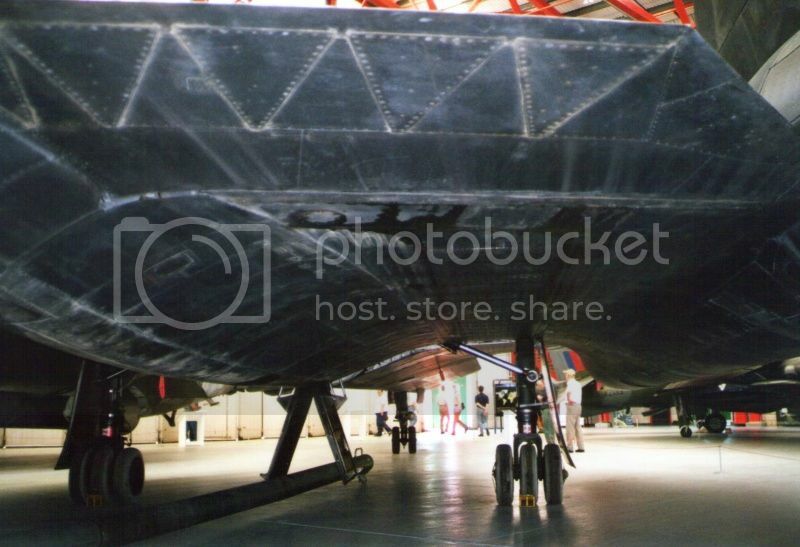 This number includes two SR-71B crew trainers with raised rear cockpits. Of the SR-71s, 12 were lost, with only one fatality. So 18 A-12s (including the YF-12s), plus 31 SR-71s makes a total of 49 airframes; a very expensive exercise, but many state well worth the expense in the capability they offered. Very very cool! Where else did you manage to sneak photos of him?